Are you as happy as we are to see spring finally arrive? Winter seemingly held on a little longer than usual this year, and our April showers were more like downpours. Welcome as all that water is, we’re ready for everything spring brings to the Applegate Valley: endless blue skies, billions of blooming flowers, soft warm weather, and our favorite spring thing: Uncorked! 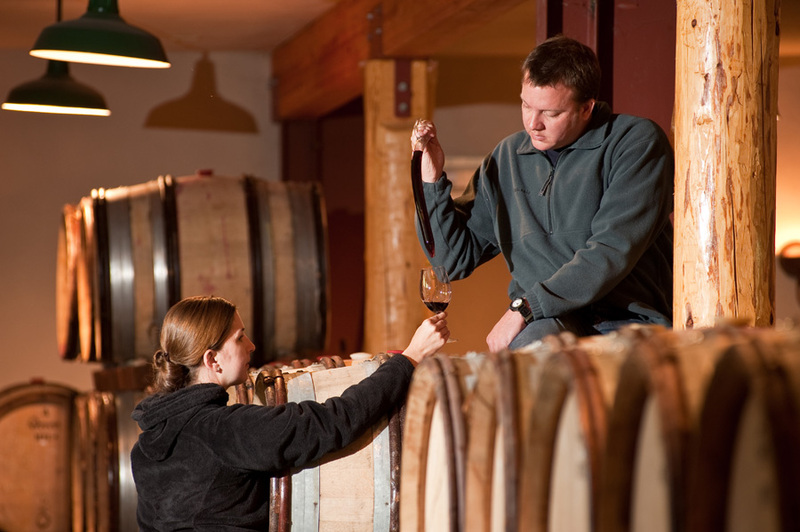 This semi-annual event—the other is held in the fall—signals the start of the high-season for touring the Applegate Valley Wine Trail, and all 18 wineries participate, throwing open their doors to offer tastings and food pairings. Some will have live music for your enjoyment, while others offer special behind-the-scenes tours. All will provide a unique experience to learn about their wines and meet the good people making the Applegate Valley one of the most exciting wine regions in the west. The great thing about Uncorked is that you can structure it any way you like; it’s a self-guided event you design yourself. You can choose to visit your existing favorites or dedicate the day to discovering new ones. You might opt for some of our bigger venues, or focus on more intimate settings. Plan your day around those wines you’re interested in, making sure to take advantage of Uncorked specials some wineries will offer, or just let your palate be the guide and allow the beautiful spring day to unfold before you. Simply choose a starting point, where you’ll pick up your commemorative glass and Uncorked pass; the rest is up to you. Each starting location is limited to a certain number, so make sure to get your tickets early and choose where you’ll begin the day. As always, we love those non-imbibing designated drivers, who can enjoy the day and sample the food at no charge. Join us for Uncorked on May 21; it’s truly one of Southern Oregon’s most delightful and delicious seasonal events. We’re expecting sunny skies and mild temps because, hey…it’s spring! Fall on the Applegate Valley Wine Trail. One word: Uncorked!